Tell your federal Senators to OPPOSE S. 405, the Sportsmen’s Act, to protect our wildlife and wildlands text. Find and contact your U.S. Senators. 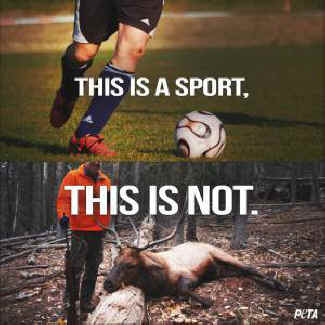 The dreaded so-called “Sportsmen’s Act” is back. Yet again, a small faction of wealthy trophy hunters is pressuring your elected officials to allow the importation of threatened polar bear trophies from Canada. They also want to open millions of acres of public lands to sport hunting and commercial trapping, without evaluating possible implications on animals, habitat and Americans who enjoy our nation’s wild spaces. They are also fighting to keep pumping tons of toxic lead ammunition into the environment, poisoning the land and wildlife, even when non-lead ammo is readily available.